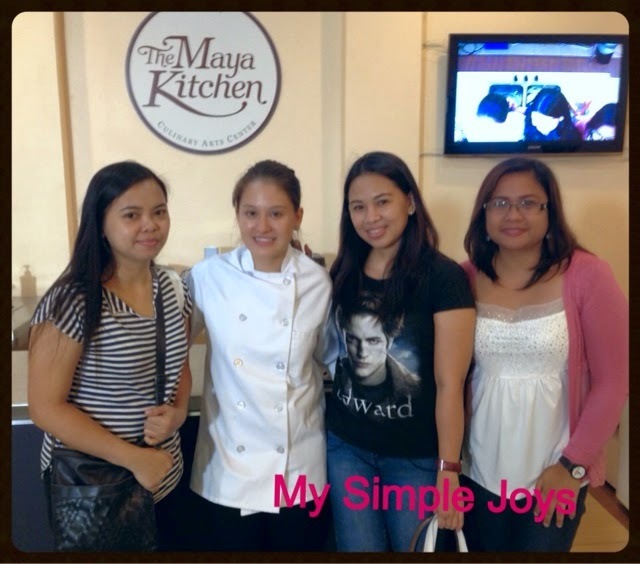 Chef Cara Davis' Cooking Demonstration at The Maya Kitchen - Triple Joys!!! The Maya Kitchen. 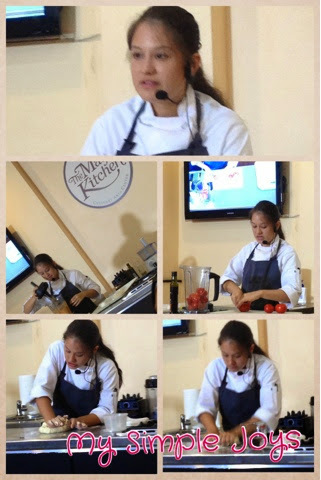 Last October 25, 2014, we were treated to a cooking demonstration by a young and pretty chef - Chef Cara Davis, tagged as the rising culinary gem! 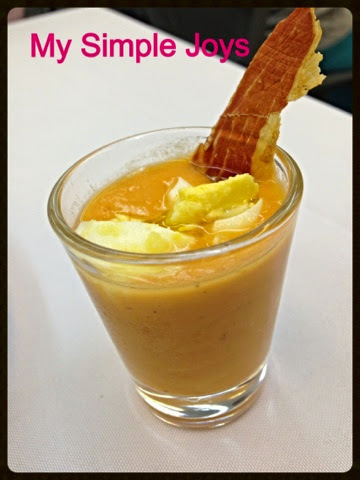 Click HERE to view the recipe of Salmorejo Soup. This pasta dish is made using fresh, handmade cavatelli pasta tossed with a pistachio pesto, parmesan cheese, herbs and roasted tomatoes. 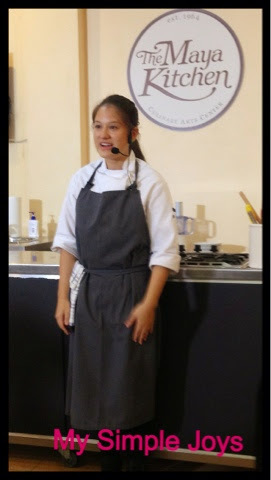 First, she showed us how should the consistency of the dough should be. She compared it to a baby's bottom - soft and shiny, just like the photo below. 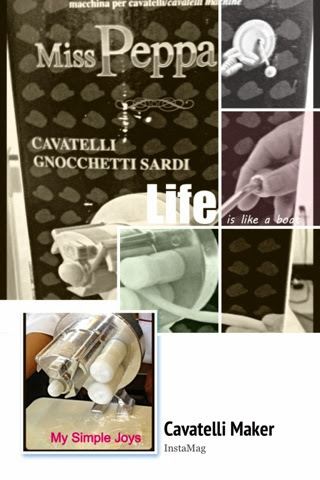 Chef Cara both demonstrated how to make cavatelli pasta using only your bare hands and using a Cavatelli maker. 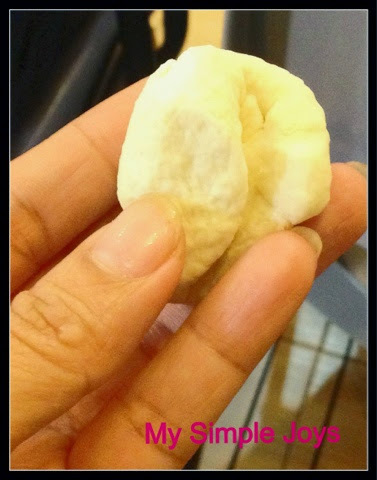 Cavatelli Pasta is a small pasta shell that look like miniature hot dog bun. 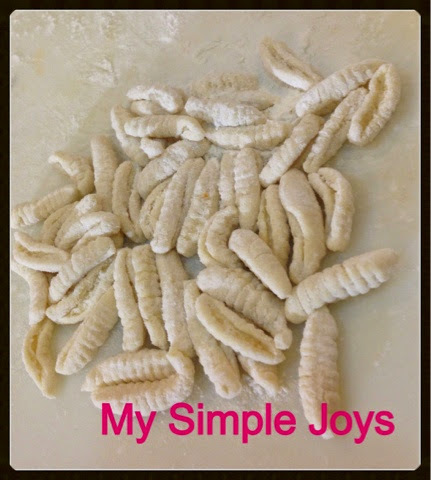 These are made using the Cavatelli Maker. 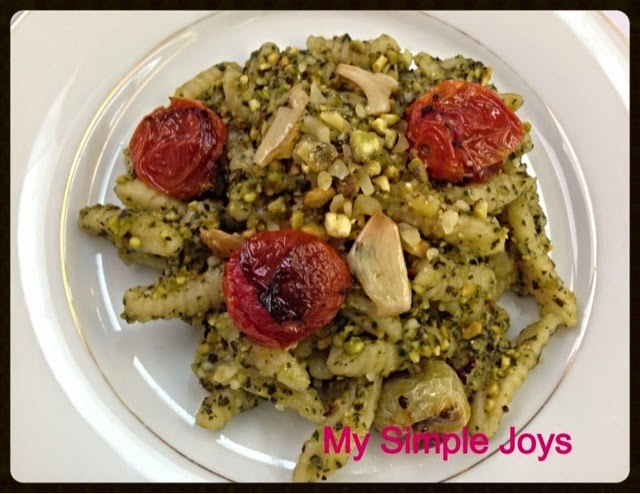 Click HERE to view the recipe of Cavatelli Pasta with Pistachio Sauce. 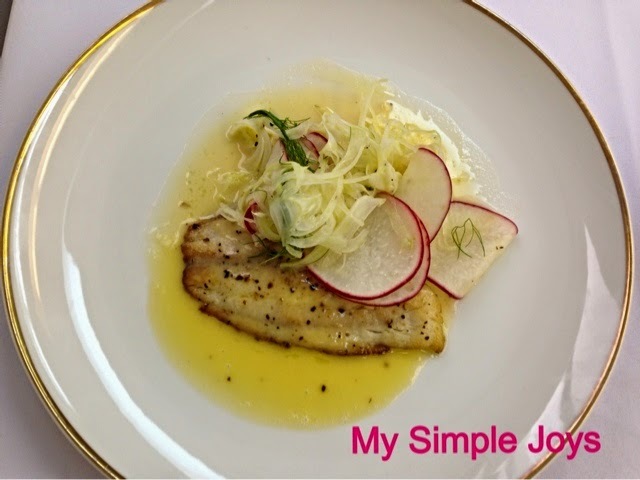 It is pan seared Tilapia finished with a beurre blanc sauce made by whisking chilled butter to a white wine and vinegar reduction. 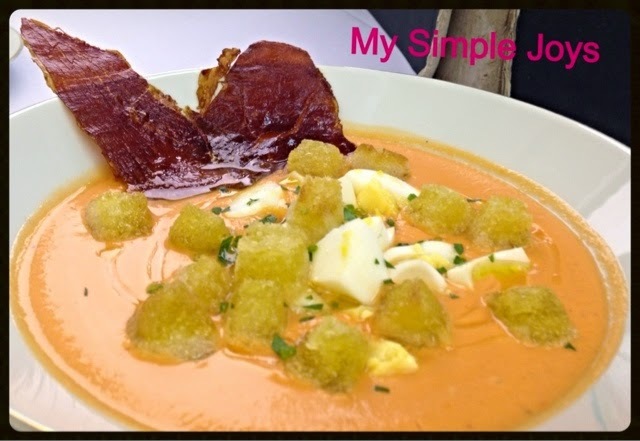 I so loved this dish! I wish I can perfectly fillet a fish just like her. You can also use other kinds of fish as long as its meaty such as Cream Dory. 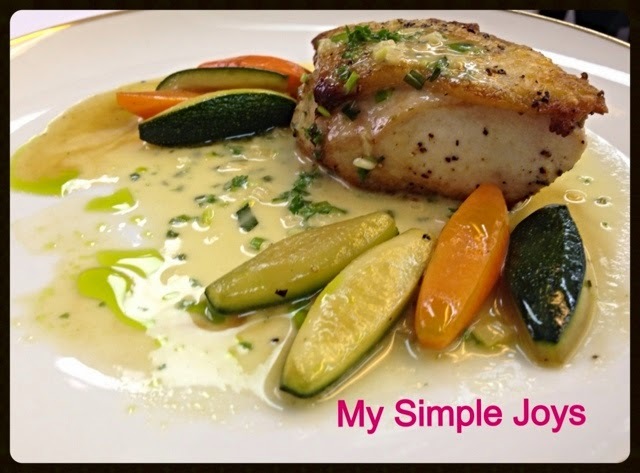 Click HERE to view the recipe of St. Peter's Fish with Beurre Blanc. It is a basic crust made of butter and flour, rolled out and filled with peaches flavored with cinnamon and vanilla. 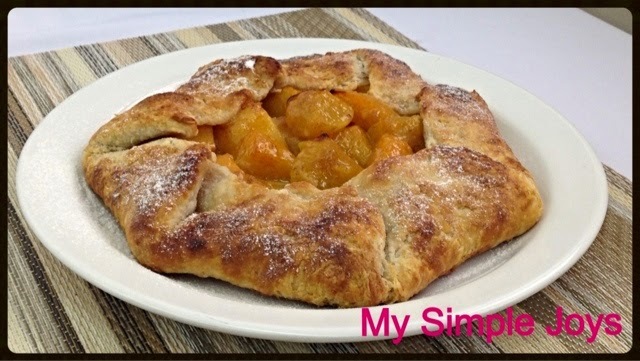 Click HERE to view the recipe of Peach Galette. It is sautéed chicken breast paired with a rich and creamy sauce made by adding wine and jus lie to sweated shallots. Cream and finely chopped chives, tarragon, parsley and chervil finish off this classic French dish. The dish itself seems easy to prepare. It is the veggies or the sidings that are so complicated. Chef Cara showed us how to carve the veggies perfectly, but I think I'll be opting to just simply cut those veggies my way if ever I am gonna cook this dish! Haha! 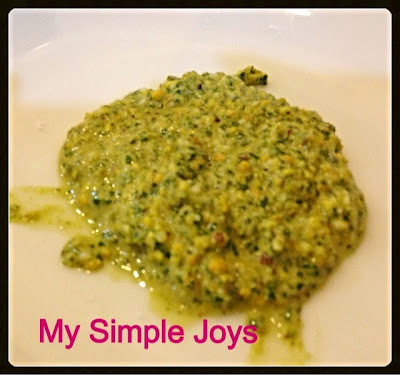 Click HERE to view the recipe of Chicken Fines Herb. 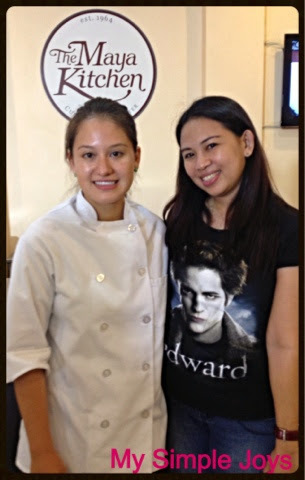 With her assistant, Tito Pepe! 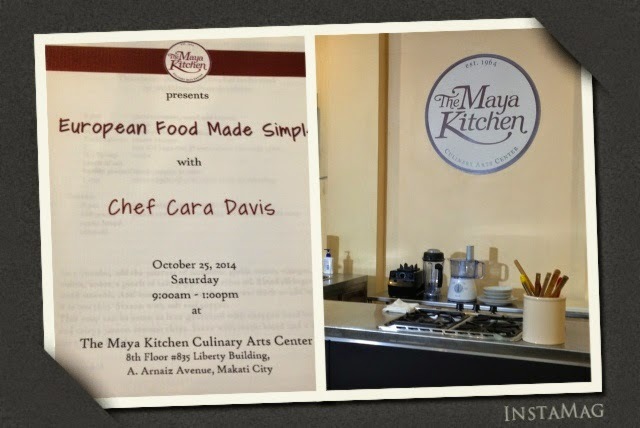 The Maya Kitchen holds monthly cooking demonstration (Featured Class) aside from the lifestyle courses being offered at the center. And this coming November 29, 2014, they will be featuring Executive Chef George Lizares to give tribute to a an iconic restaurateur who made eating out a most pleasurable experience - Mr. Larry J. Cruz. Dubbed as "A Christmas Dinner Larry Would Love", this class will surely offer dishes perfect for the coming Noche Buena! So go ahead, inquire and enroll now! 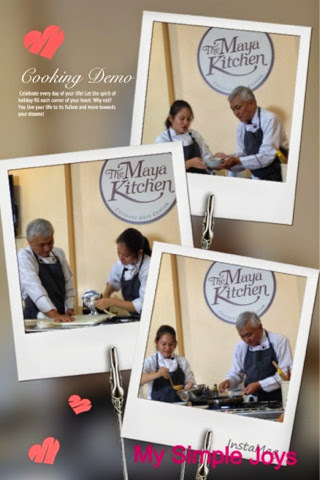 For more information, log on to http://www.themayakitchen.com/ or e-mail contactus@themayakitchen.com or visit The Maya Kitchen Culinary Center every Tuesday to Saturday at 8F Liberty Building, 835 A. Arnaiz Avenue (Pasay Road), Makati City or call 8921185 /892-5011 local 108. Those food looks so yummy! I didn't know Maya is so near us. I need to pay a visit.